BubbleUPnP is a wonderful little app that'll let you stream nearly any and everything from your phone and on the cloud to your Kodi app. This is more ideal if you have Kodi setup on a TV or home entertainment center. BubbleUPnP is extremely handy for me as I've cut my cable completely and rely on my Kodi box on my TV for entertainment. 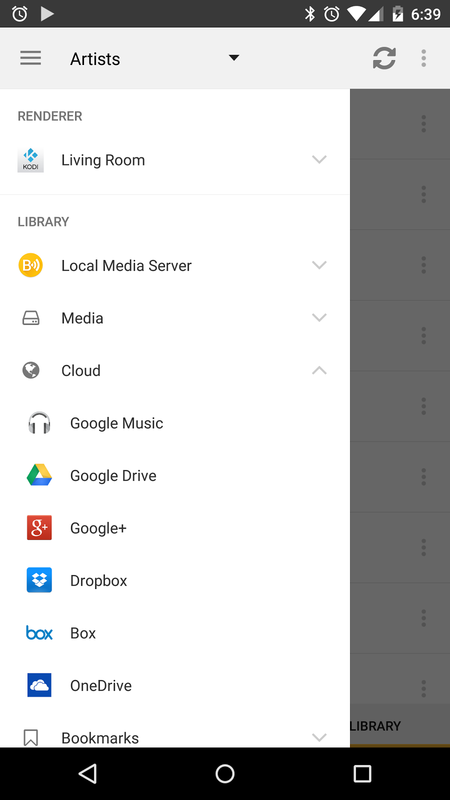 This app allows me to play local videos, pictures, music, and even music stored on Google Music's Cloud. BubbleUPnP lets you do just about anything you want. BubbleUPnP is free with time limitations on how long you can stream for before being cut off, however if you enjoy the app enough, you can pay for limitless enjoyment. Personally speaking, I've paid for this app, and would happily pay again for how often I use it. If you use Kodi on a regular basis, do yourself a favor and give BubbleUPnP a try for free today. If you still haven't set up Kodi on your Android device, you can find my beginners guide down below. Installing & Setting up Kodi. Setting up a library on Kodi.